Get the information about the best Picnic Spots or most popular tourist spots in Balasore District of Odisha. If you want to know the List of Famous Picnic Spots in Balasore District of Odisha then see the below tourist spot link to know about the Famous Picnic Spots in Balasore District of Odisha. There are various tourist Attractions in Balasore. Some of the major Tourist Spots in Balasore are : Chandipur, Panchalingeswar Temple, Balaramgadi etc. See this article to know the complete information about Balasore Tourism. Sajanagarh is a place which as serving as a military base during the period of ex-rullers of Nilgiri state.The main attraction of the place is the temple of godess “ Bhudharchandi “ On the walls of both temple and boundary beautiful stone works have been made legently the gods and goddess. Ayodhya where assimilation of Jainism,Budhism,Baishnavism,Tantraism Saivism, Sakthism took place.The place was flourished once upon a time as a town or it was a Capital of a king the time is still not known. A large number of images ( remains ) have been unearthen from the site. Among them Budha, Jains, Pareshnath, Shiva,Gonesh, Natraj,Bhairabi,Maricha,Baraha,Tara are famous godess Marichi is the most attractive. The place of famous for its location and mythology Lord Shiva used to plough the paddy field. In memory of the same plough is there and hundreds of piligrims use to gather there to worship the Lord Langaleswar who has been named after that plough. Langaleswar is famous for Saivasim. The location of the temple by the side of river parvati too creates a senic beauty and makes another attraction of the place. Kashaphal beach is an ideal fishing harbour.It has a scope for boating on river Dubdubi and Panchupali.The solitary beach of Kashaphal is an ideal spot for pichic.The calm and quite rural atmosphere and wistling casurina will definitely attract the nature loving tourist. It is situated at a distance of 50 Kms. From Balasore.The old palace,the gada of Raymahasay of Laxmannath is the main attraction.The temple of Shyamakali, JagannathDwadasha Shiva are worth seeing. Raibania is known for its group of forts in raign ,Raibania had historic importance and finds mention in the book Ain-I-Akbari. The fort having a number of tanks, which was once the place for royal people is now a plain field littered with archeological rains. 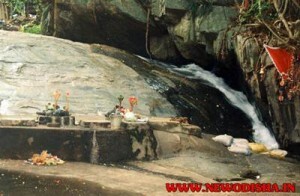 The Jaychandiban or the lovely forest of Joychandi is now used as picnic spot. The holy shrine of Lord Chandaneswar is a religious centre not only for the people pf Balasore District but also places adjacent West Bengal. It is an unique sight to see the devotees flock together in hundreds everyday and in thousands on festive occasion like Chadak mela for Darshan of the Lord which falls in April every week. The place is situated at a distance of 100 Kms. from Balasore the district headquarters. The place is famous for Lord Shiva. The priest who worship Lord Shiva uses ladder to poor water, Milk etc on the top of the Loard Bhushandeswar. This is unique in India. Baghajatin the historic place is situated at a distance of 10 Kms. from Balasore town at Chasakhand village in Remuna Block. Now a days the place is famed as Baghajatin where many people are coming to witness the heroic death place of Late Jatindra Nath Pal the then freedom fighter of August Biplav in 1942. The temple of Maninageswar is an ancient one perhaps the temple has been built in the year 1600 A.D. Mythology says that Pandav at the time of their “ Agyantabas “ Used to take bath at Pandav ghat in the Bay of Bengal, very close to Bardhanpur. Where the temple Maninageswar is situated. After taking bath the used to have a Darsan of Maninageswar Shiva. At the time of visiting the spot one can enjoy the beauty of Sea beach which is only 2 Kms. from the spot. The temple of Baneswar is an ancient and famous Temple of Lord Shiva about 5 km away from Balasore Railway Station. Ancient and famous Temple of Lord of Shiva situated at Naya-Bazaar nearer to Balasore Railway Station and Bust Stop. 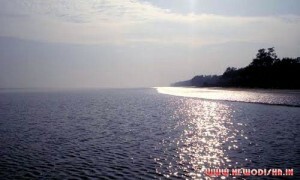 Chawmukh and Dagara the two coastal village in Baliapal Block of Balasore District are orescent with inviting beaches. The calm and scene atmosphere long threshes of silvery sands, whistling casurarina and red crabs are some of the attractions of these lovely beaches. Fishing by small Boats with the local fisher flock is very interesting. The Beaches aglow with the presence of group picnickers on new years and X-mass days every year. It is situated at distance of 48 Kms. From Balasore,in Khaira Block in the District of Balasore. 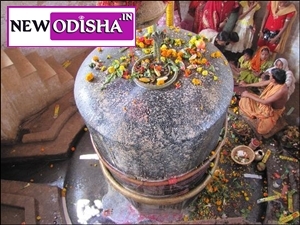 Lord Bakreswar Shiva is the presiding diety. The temple is very old one and located in a place surrounded by river Kansabansa in all four sides. Kupari is about 67 Kms. from Balasore via: Soro and 30 Kms. from Bhadrak via: Agarpada in Khaira Block.Sunyamandap and Ambika temple are two seperate pilgrim spot situated in two opposite side of Kupari – Agarpada Road.At Kupari some ruins of Buddhist Culture are still found. Kharasahapur a costal village is situated at a distance of 37 Kms. towards south east of Balasore the Dist.Headquarters. close to Sea Beach a small temple named “Mangala “ is worth seeing.It is a Saktipitha . A tourist visiting the temple should not miss the chance of enjoying the blue view of Bay of Bengal enriched with calm and serene atmosphere. Fishing Jetty located 1 Km.from the spot is further attraction to tourist.Fishing by small boats and Motor launch with local fisher folk is very interesting. It is situated at a distance of 22 Kms. From Balasore. The place is famous for Labana Satyagraha held in 1930 under the leadership of Binod kanungo, Jeebramjee Kothari , Rama Devi and Dr.H.K.Mahatab. One can see the Smrutisthambha as a mark of sacrifice of the then freedom fighters. It is a big village situated at a distance of 20 Kms. From Balasore and close to Inchudi.People of this village under leadership of Gurucharan Dash participated in civil Disobedience movement in 1921 and they actively joined the salt Movement.When Satyagraha was stopped due to onset of rainy seasons.People of this village where first in the country who did not pay Choukidari taxes being led by Gurucharan Das and Bidyadhar Ratha.There was police torture.This incident evoked country wide protest. Villagers have constructed the Smrutisthambha and one Museum dedicated to freedom struggle is under construction there. The confluence of the river Budhabalanga with the sea at Balaramgadi, located 2 km from Chandipur, presents visitors a scenic view with fishing and boating. Give Responses for "Famous Picnic Spots in Balasore District of Odisha"